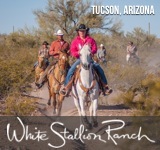 If you’ve always dreamed of visiting a dude ranch as a vacation, but overwhelmed by all the choices out there, we’ve got good news – we’d like to help. 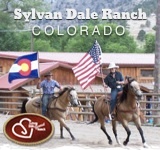 We've partnered with dude ranch vets Bob & Karen Foster, and anointed them our dude ranch concierge consultants to help dissect and pinpoint a perfect ranch vacation for you. 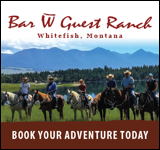 Bob & Karen have worked, managed, owned and consulted on over 25 guest ranches since 1960, and have personally visited over 80 ranches in total out West - so you're in very good hands! Schedule a 30 minute phone call with Bob & Karen today! Rimrock Ranch is located only 26 miles from the East Entrance of Yellowstone National Park. The ranch is designed for small group sizes (about 36 guests) and makes it possible for everyone to have a more personal experience. Weekly schedules revolve around a white water rafting trip, a nightly rodeo, and an all day tour of Yellowstone National Park. Guests stay in comfortable, individual log cabins located along the creek for maximum privacy. 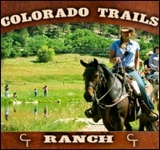 Of course, horseback riding is the featured activity at Rimrock where the selection of horses ensures that one will suit anyone’s riding skills. Vacations schedules from December to March allow for the added bonus of guided snowmobile tours into the park. The all-day tour includes Old Faithful, the Geyser Basin areas, and Yellowstone Lake.